This could be either good news or bad news, depending if you are a consumer or a cruise line. And it seems to only be good news if you are a consumer AND you want to go to Cuba. What made us start looking into this and considering the broader topic was a press release we received today from Fathom announcing a new low promotional rate on their alternate-week sailings to the Dominican Republic to which a call at the Cuban port of Santiago de Cuba was recently added. 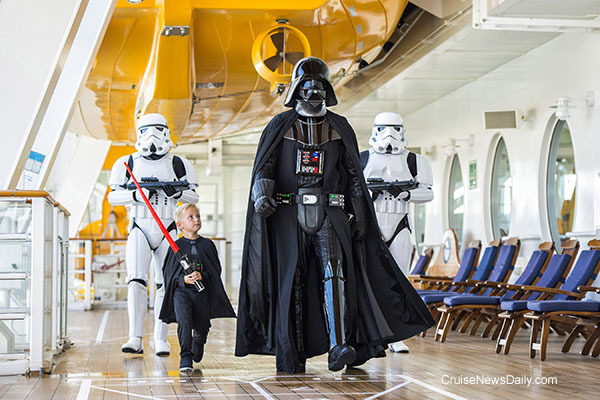 Details appeared in the January 13 edition of Cruise News Daily. Next year Carnival Cruise Line will reposition three of their newest and largest ships, giving the markets in three homeports new experiences and some freshened itineraries. In September 2018, Carnival Visa, Carnival Breeze and Carnival Magic will all be on the move, and Galveston, Port Canaveral and Miami will all benefit from something new. 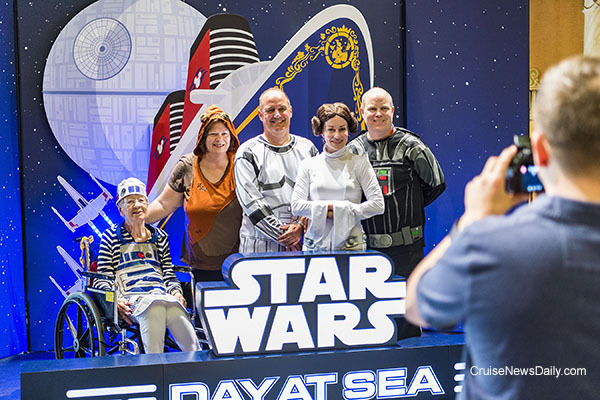 Star Wars Day at Sea will return to Disney Fantasy on 15 sailings in early 2018. 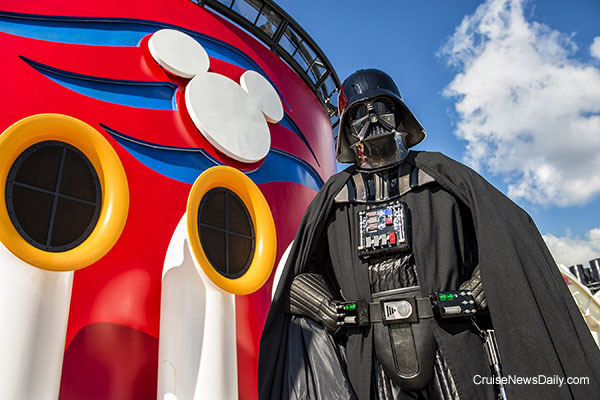 Photos courtesy of Disney Cruise Line. All rights reserved. May not be copied or used without express permission. 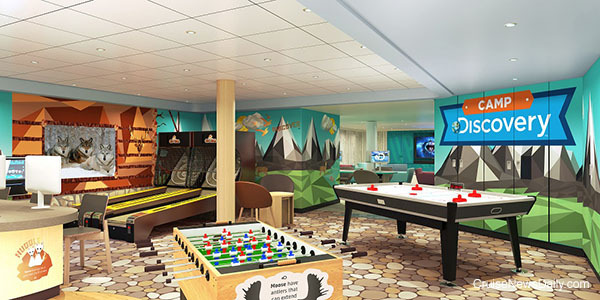 Kids aboard Grand Princess this week are probably surprised to be the first to see the newly reimagined youth and teen centers that will eventually be installed fleetwide on Princess ships. In conjunction with the new facilities, there's an expanded partnership with Discovery Communications (the Discovery Channel) to bring more of the Discovery at Sea program into the youth and teen centers. 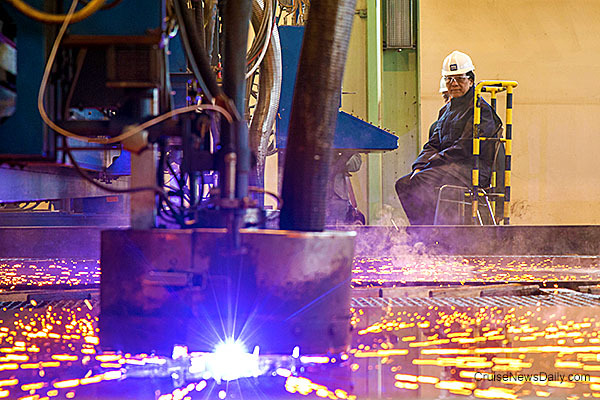 Last Friday, MV Werften cut the first steel for their first two new luxury river ships, Crystal Debussy and Crystal Ravel. Holland America Line bills itself as Seattle's Hometown Cruise Line, and to prove that, they now have three “ships” cruising right through the heart of the city. 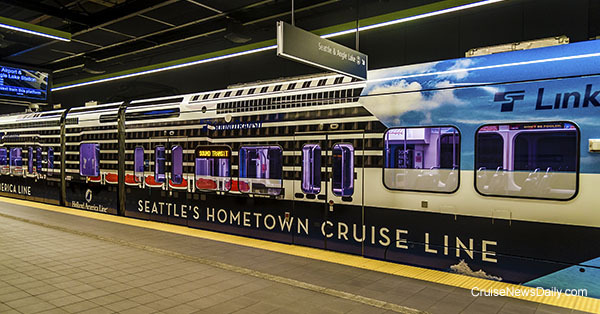 The “ships” are actually three Sound Transit Light Rail trains wrapped in a graphic to resemble Holland America's newest ship, ms Koningsdam, which will be sailing from Seattle this summer to Alaska. MIAMI (Jan. 11, 2017) — Sean Kenny, a highly seasoned leadership professional with extensive experience in technology and business operations, has been named senior vice president and chief information officer for Miami-based Carnival Cruise Line. Kenny begins January 15 and will report to James Heaney, chief financial officer for Carnival Cruise Line. Kenny will lead the development and execution of Carnival Cruise Line’s increasingly important technology strategy. He also will partner with Carnival’s sister brands to develop a long-term technology program and governance structure to guide those efforts on the corporate level. A native of Canada, Kenny moved to the U.S. with Ernst & Young Consulting where he was managing partner for major clients throughout the country including the Port of Seattle, Blue Cross Blue Shield of Ohio, McDonald’s Corporation and McDonnell Douglas. He then moved on to an international consulting role followed by a shift to IT services company EDS, based in Dallas, Texas. There he focused on global IT transformation and worked with clients including American Airlines, Delta and Marriott. Just prior to joining Carnival, he worked with Ernst & Young as a global client services executive for two Fortune 200 accounts. Kenny is author of “The Contemporary Director” and was a contributor to “The Managed Health Care Handbook, Fourth Edition.” He is a sought-after lecturer on an array of business topics, speaking to a variety of audiences including the Institute of Management Consultants in Palm Beach, Florida, and Washington University. Kenny holds a degree in Bachelor Studies from the University of Regina/Saskatchewan. He will be relocating to Miami for his new role. Princess Cays is going to be more “fun” this summer because the FunShips of Carnival Cruise Line are dropping anchor at Princess' Bahamian Island. Carnival Cruise Line ships will make 40 calls at Princess Cays this year and 98 next year. Norwegian Cruise Line said today that the 167,800-ton Norwegian Bliss will sail from Miami after its inaugural season in Alaska. The winter Caribbean season will begin with the ship's November 17, 2018 sailing from Miami. Internationally acclaimed soprano Sarah Brightman sent a bottle of champagne against the bow of Seabourn Encore on Saturday night in Singapore to officially name the ship in front of an array of guests and VIP's. Princess president Jan Swartz has expanded her sphere of influence across the Pacific and Down Under by adding the title of Group President, Princess Cruises and Carnival Australia to her business cards.